On 30th June 2017 Jordi Domingo (Fundación Global Nature) presented the AgriAdapt project at the EcoWineMed Symposium that was held in Utiel (Valencia, Spain). 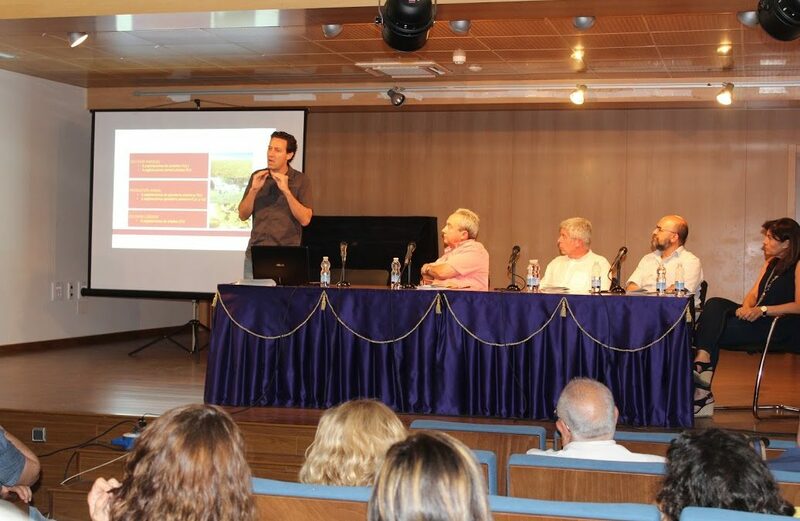 The “I EcoWineMed Symposium: Mediterranean” was organized by the Spanish Association of Organic Farming (SEAE), Utiel City Council and the Committee of Organic Farming in Valencia. The objective of the event was to exchange experiences on agroecological viticulture, to promote activities beyond the current legislation and to support the social aspects of wine production. Domingo participated in a roundtable on “Needs of the agroecological wine sector and commercialization” and his presentation focused on sustainable adaptation and biodiversity protection in vineyards.